Tiffany Haddish is on a roll, as her production company She Ready and HBO have announced their first project under Haddish’s first-look deal: a comedy pilot titled Unsubscribed from The Mindy Project alum Xosha Roquemore, as reported by Variety. The comedy’s premise fits the current obsession with social media. 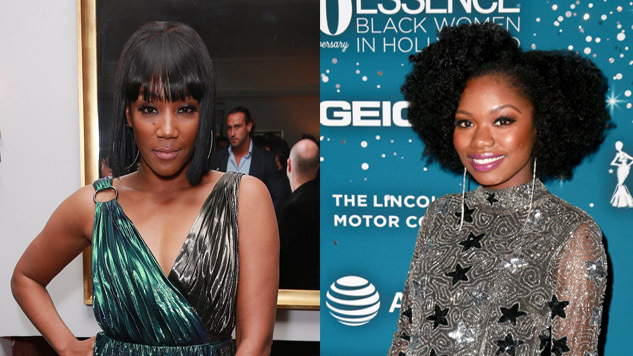 Variety describes the series as “an examination of female blackness, beauty, and identity through a behind-the-scenes look at the Instagram hustle.” With Haddish acting as an executive producer, Roquemore and her writing partner Danielle Henderson will write the series and serve as executive producers. Outside of The Mindy Project, Roquemore—an actress making her writing debut with Unsubscribed—will be seen next in season two of Showtime’s I’m Dying Up Here, as well as writing for the forthcoming Netflix series Maniac, HBO’s Divorce and Hulu’s Difficult People. Along with the HBO deal, Haddish’s She Ready will produce Netflix’s Tuca & Bertie, Universal Pictures’ The Temp and Limited Partners with Paramount (all projects starring Haddish). The comedy star is riding high off the record-breaking ratings of TBS’s The Last O.G. and will next appear on the big screen in the hilarious Night School with Kevin Hart, due out Sept. 28. With so much success coming her way, Haddish appears to be spreading the wealth around to other black female creatives. You go, girl. Check out where Paste placed Haddish on our list of the 20 best comedians of 2017 right here.